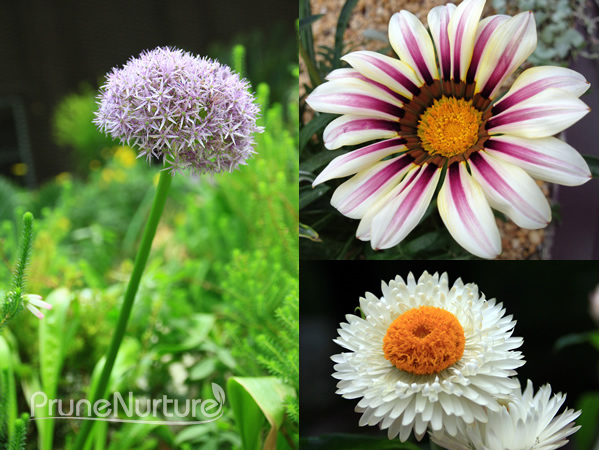 Buckle your seat belt and get ready for your flight into the land and mountain of exotic floras! 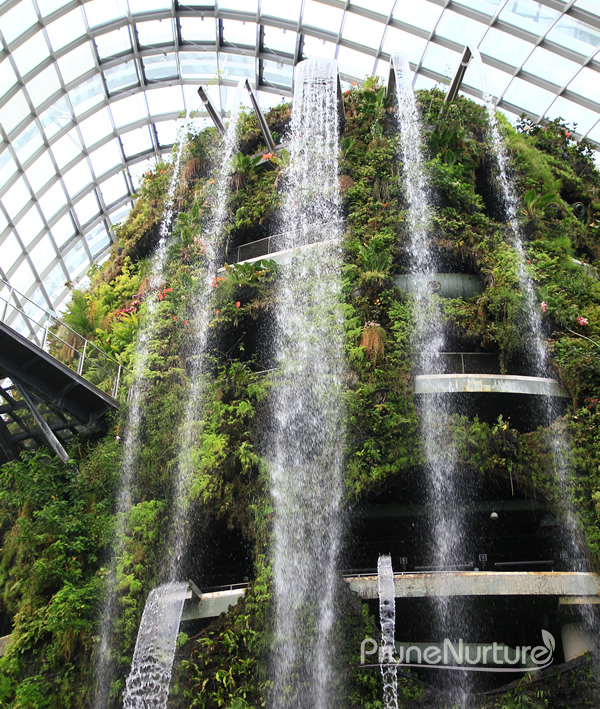 “Flight of Fancy” – the theme of the two conservatories at Gardens by the Bay from 3 June till 21 July 2013. 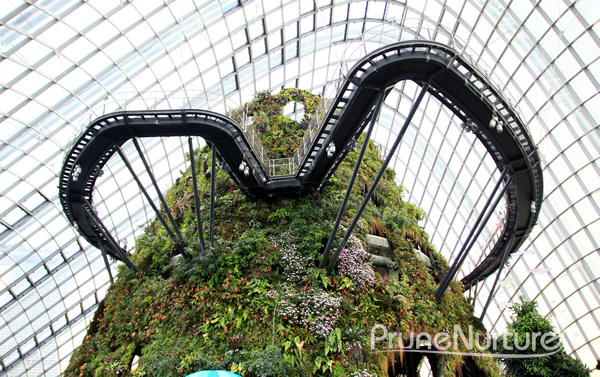 Here at Flower Dome and Cloud Forest, the two cooled conservatories house the floras from different parts of the world. It is designed and built based on the cycle of nature using sustainable building technologies. 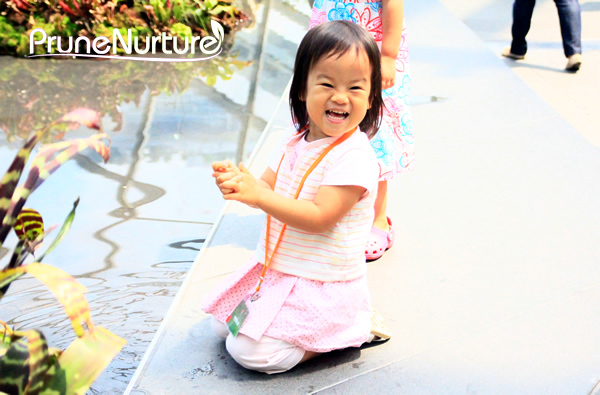 During our visit, I saw a few visitors on wheelchairs visiting these parts of Gardens by the Bay. It’s good to know that the facilities are designed with families with children and handicap in mind. When we entered the conservatory, the cool air sent a chill down my spine. We quickly helped Dot to put on another t-shirt over her sleeveless top. I learnt that the temperature inside is maintained at 23 degree celsius during the visiting hours. At night, the temperature will drop further to help the plants to flower. 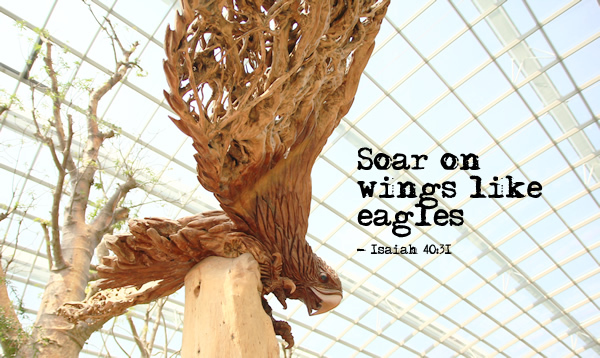 This eagle is carved out from the lychee roots. Isn’t it amazing! 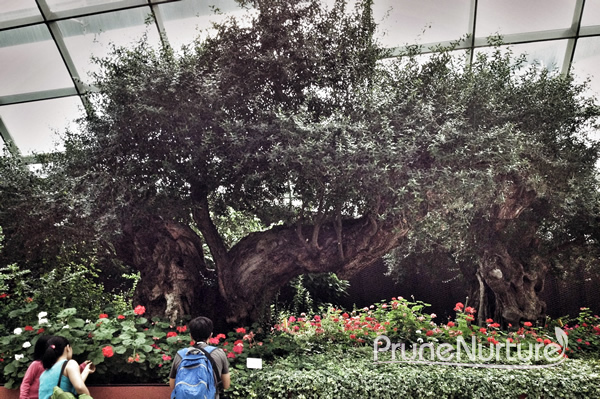 My first impression when I saw this 1000 year old olive tree was that it looked like a big bonsai plant. These ancient evergreens are very resilient and can cope well in hot, dry, cold, wet and even thrives and produces fruits in sandy rocky conditions and terrains. Their resilience does not stop there; even when burned or cut down, they still can have new shoots emerging from the roots to renew itself. Such endurance! The Bible also mentioned that our character should be like that of an olive tree – faithful and steadfast . They represent fruitfulness, faithfulness and continuity. They are an emblem of peace, originating from Noah’s signal of the subsiding waters at the end of the flood. These displays have an underwater world theme. 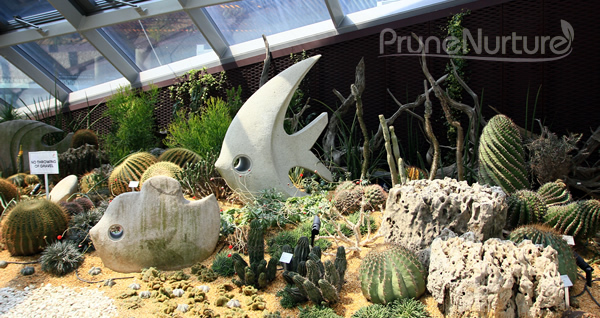 The cacti are meant to represent the corals in the sea. We were welcomed with the sight of the water tumbling and casacading down from the top. The man-made waterfall is 35m tall and this part of the conservatory houses the rare and exotic floras we can find in the highlands in the tropics surrounded by mist. We went to the sixth level of the mountain and then there we were at the pitcher section. J showed Dot and explained to Dot how the pitcher plant gets its food. Pitcher plants are carnivore plants that has sweet-smelling juice that attracts insects, which later become food for these pitcher plants. I caught Dot playing with the water and she was having a fun time especially when she found a new friend who started playing with her. The children climbed and jumped off the edge several times before we urged them to move on. 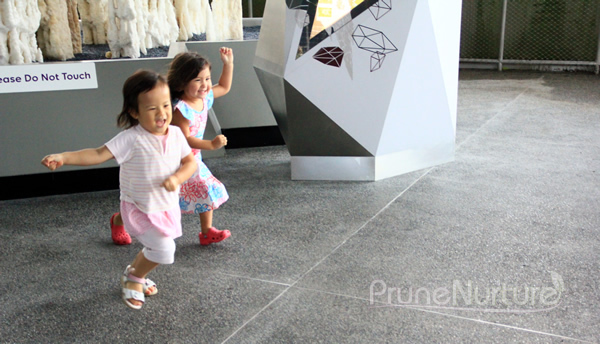 They had a great time chasing and walking together along Cloud Walk. Dot and I sat on the floor to watch “+ 5 degree”, a short movie on how our earth will face the effect of climate change with the temperature increased. 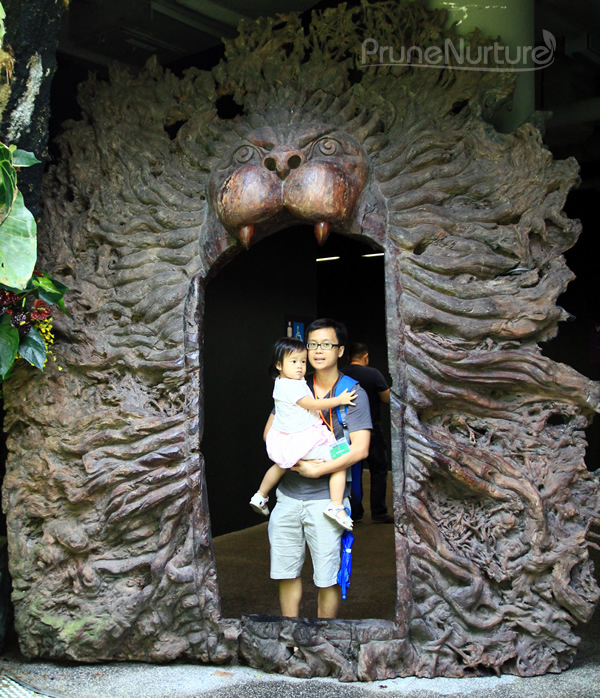 Like the eagle sculpture we saw earlier, this lion mouth doorway is another piece of work carved out from lychee root. We went up the Supertree via OCBC skywalk and there before us we saw several fighter planes flewabove us doing their stunts, most probably for the upcoming National Day parade. 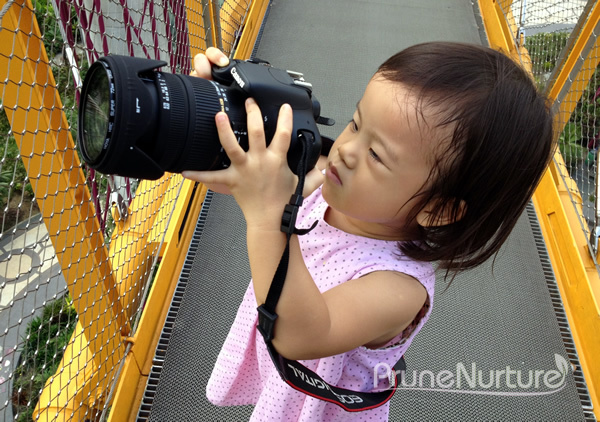 Dot decided that she wanted to try snapping some shots with our DLSR and we gave her the heavy camera, with us holding on to the strap. Her face is brimming with pride as she took the pictures. 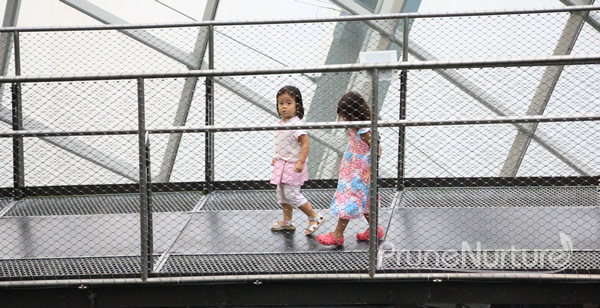 One of the pictures we took of Marina Bay when we were on the skywalk. 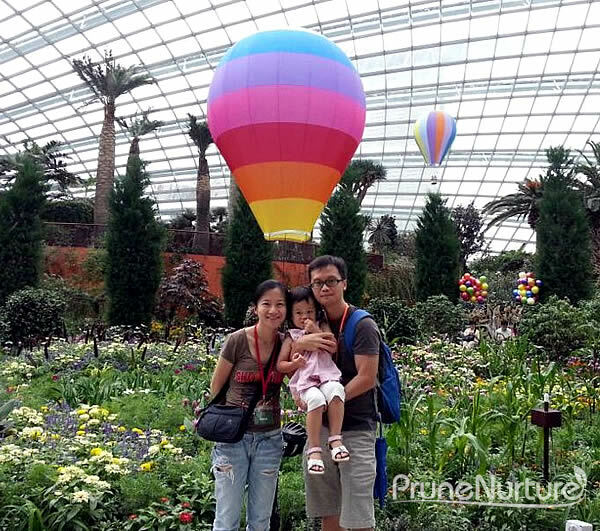 We spent our whole day at Gardens by the Bay. Dot slept in the Flower Dome for one hour and we were held hostage by the heavy downpour even after she woke up. We made our way to the Supertree dining for dinner and watched the Supertree light show before we departed from there. 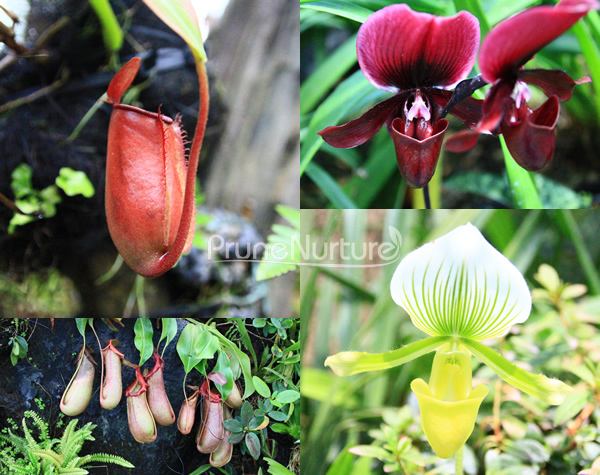 It is wonderful to have conservatories housing rare and exotic plants for us to see but nothing beats seeing the real plants in their natural habitats amidst the insects, birds and creatures, if given the chance. 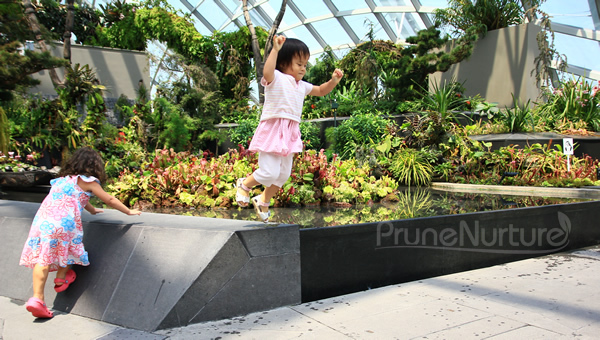 For more information about Gardens by the Bay, please visit their website at http://www.gardensbythebay.com.sg. 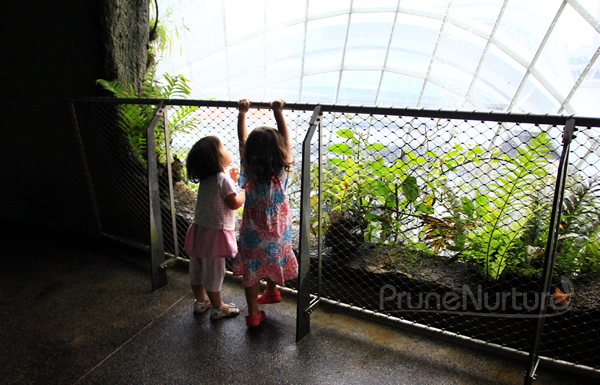 Disclaimer: We received a media invite with free entrance to Flora Dome and Cloud Forest. No monetary compensation. All photos and opinions are mine. 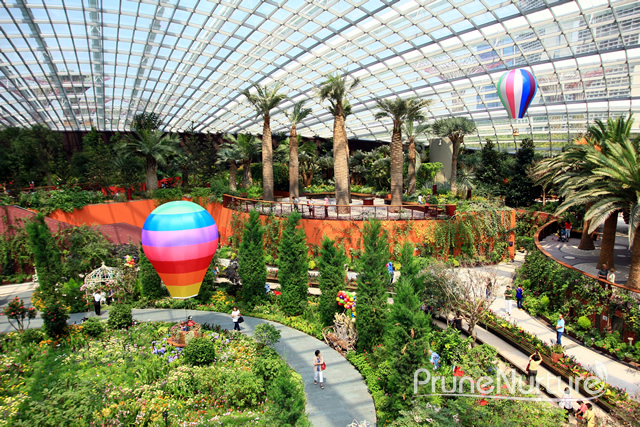 The Gardens by the Bay is simply one of the most stunning attractions in the city. 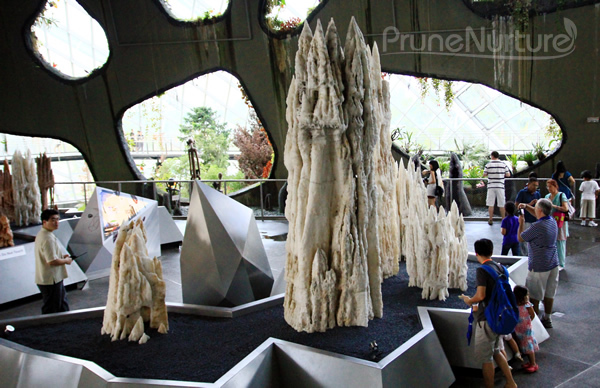 The technology used is just so amazing plus the magnificent collection of plants displayed. 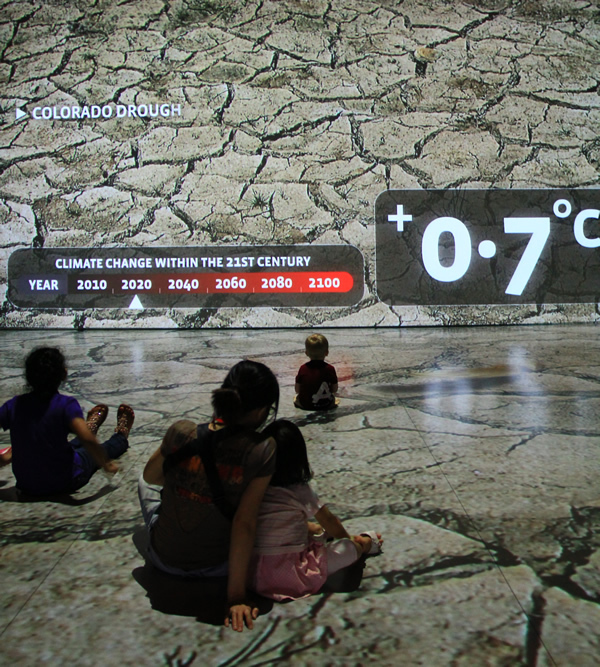 It’s also a great way to promulgate social involvement against climate change.